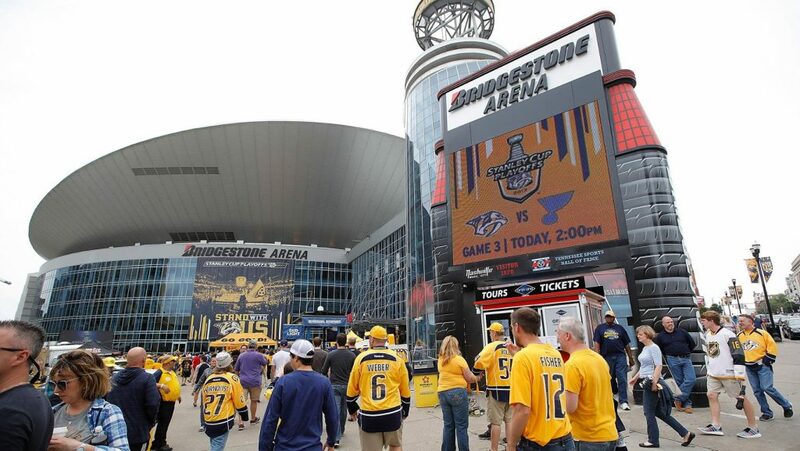 As this post was going up, the Nashville Predators were gearing up to host Game Six of the Western Conference finals versus the Anaheim Ducks. Whatever happens, one thing’s for sure: Our unstoppable Preds have fired up hockey fandom in Nashville in a way that’s bound to last for a long, long time. “A lot of credit for the Predators’ amazing run is going to the team’s fans and the electric atmosphere on the team’s home ice,” a piece on Nashville Public Radio said last week. Whether or not we can really take credit, the “electric atmosphere” is definitely truth. Ready to commit to something consistent? 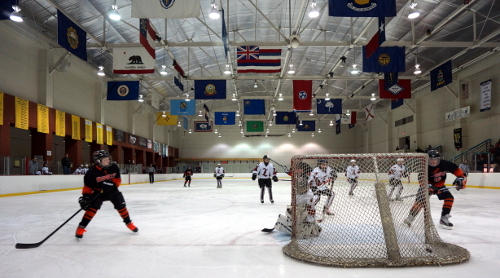 The Nashville Predators Amateur Hockey Association Adult Leagues, which play at the Ford Ice Center in Antioch, offer opportunities for adults at all skill levels, year-round, with 13 games including playoffs and championships. The Summer Season’s about to start, running June through September, but if you’re not ready for that one, fall picks up right afterward in October. Speaking of the Ford Ice Center, they have all kinds of options, even if you’re not in a position to commit to a league. Adult Open Hockey lets you drop in with a group of other 18+ players in a game-type format. Total newcomer? There are beginner adult skating classes too, plus lots of other options. The Centennial Sportsplex Ice Arenas have long been among the best places to skate in the city, whether that means playing hockey or just meandering on the ice, year-round. There are two full-size ice rinks, regularly scheduled times of public skating, open hockey sessions, adult leagues and more. It’s definitely a good place to test the (frozen) waters, since they rent skates and welcome skaters of all ages. They offer all things hockey at this place on the south side of town, from strength and conditioning classes to camps. Different membership levels offer different kinds of access (and they’re all month-to-month). But you can get in a little time even if you aren’t ready for a membership, with shooting lane rentals and group hockey class punch cards. It’s an off-ice place, but they’re helping you train for on-ice play (they even have a synthetic ice treadmill). Hope this little peek at the hockey-playing landscape in Nashville was helpful. If you’re looking for a place to live in Nashville that puts you close to spots where you can play, reach out and let us know — we’d love to help. And, of course: GO PREDS!